From the hilarious speeches, elegant decor, and the marvelous sparkler exit, this wedding had all the makings of a perfect night. 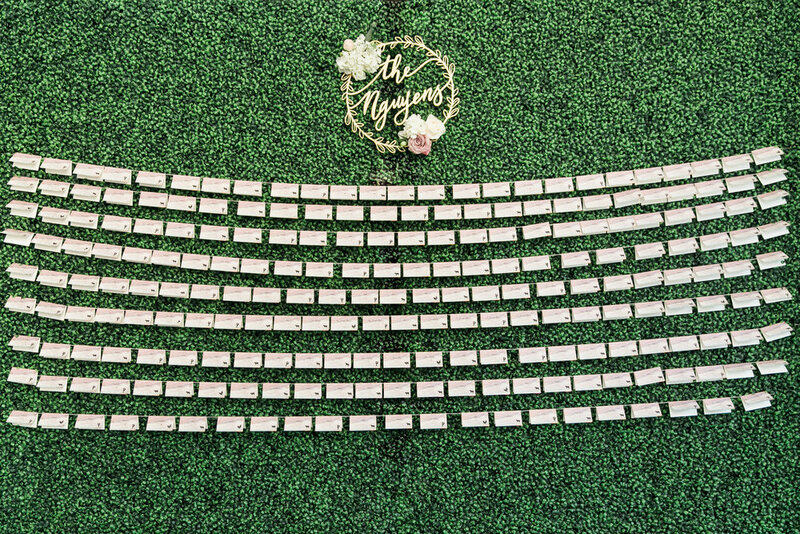 The sea of white flowers with pops of greenery was truly a flawless design by Three Petals. Jessica and Hans, a beautiful and sweet couple indeed, were amazing to work with and we wish nothing but the best for them and their new life together. Lively music, festive colors, and beautiful décor are a few of the ways to describe Anita and Rohit’s Sangeet. It was a celebration of love and happiness surrounding the couple. The party was filled with great vibes and energetic songs that could get anyone in a dancing mood. 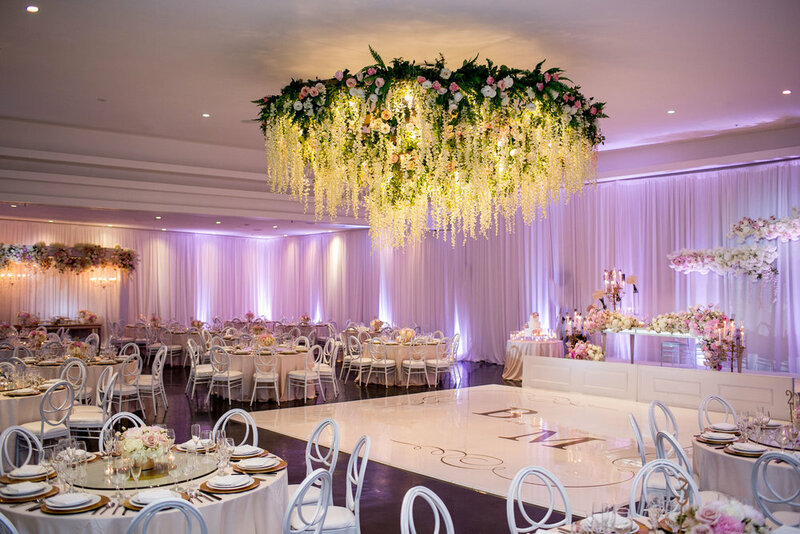 The beautiful draping along with the floral chandelier and arch made it truly a spectacular sight. What an honor it was to work with such a divine and lovely couple who are both teachers! Diana and Will from the moment they came to us had a caring and warm energy surrounding them so on their special day you can definitely feel the love in air. 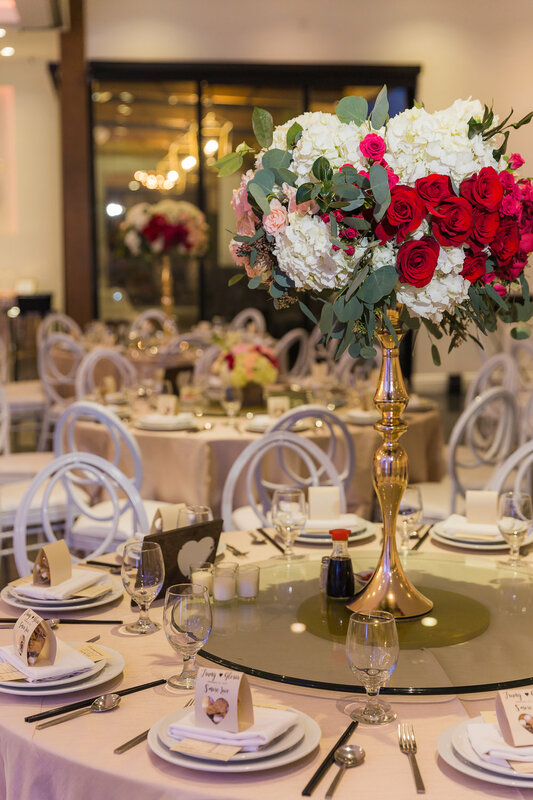 Their reception was a romantic affair with pops of burgundy and blush. 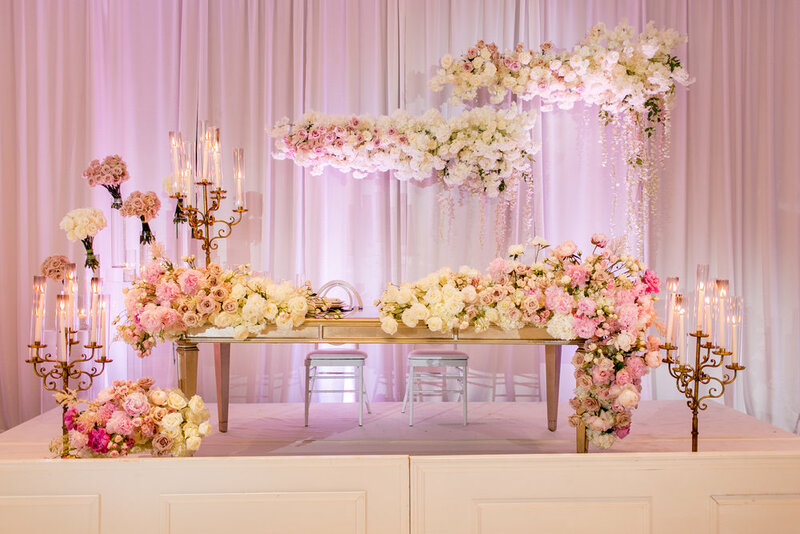 A special shout out must be given to Three Petals for the beautiful floral arches, centerpieces, and floral chandelier. 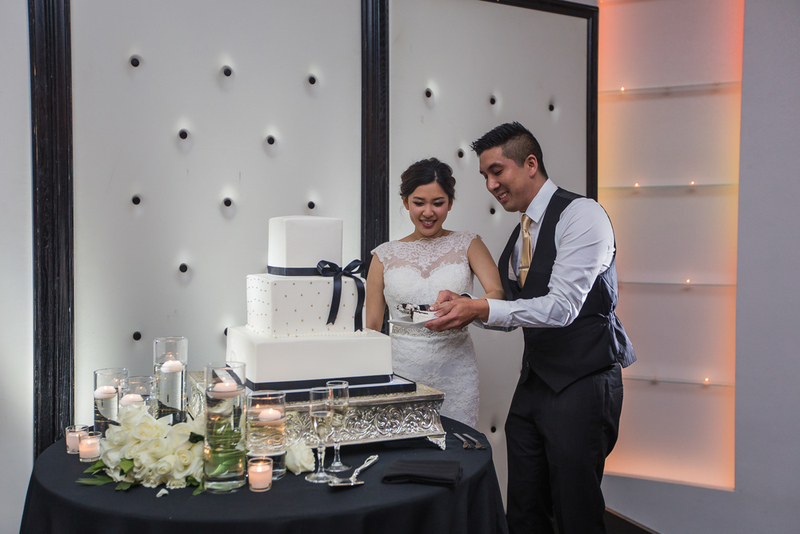 From the tea ceremony to the cake cutting, their reception was truly an amazing experience and on behalf of the Venue staff we cannot thank you enough for sharing your special moment here with us. I think we owe a huge THANK YOU to this amazing pair for entrusting us completely with the design of their wedding. 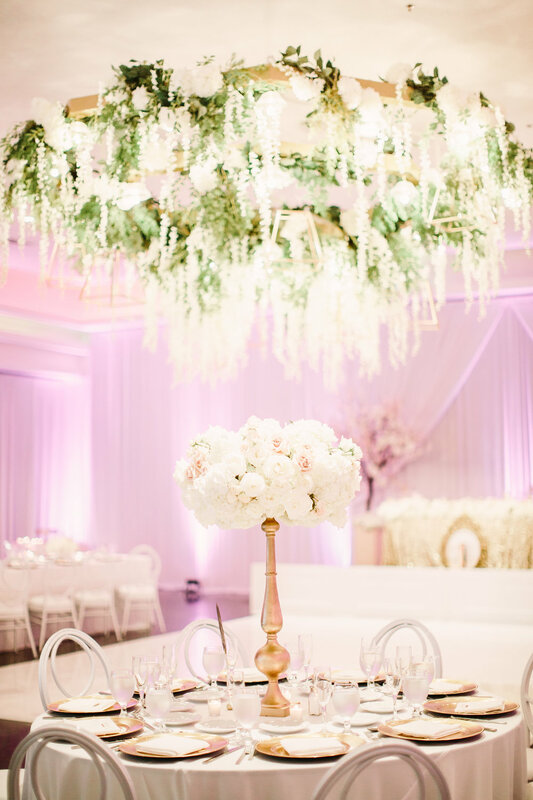 When Lynette had her initial floral consultation, we knew this wedding would be one Venue had never seen before. She told us she wanted something edgier than the typical romantic look, something "darker", and as always the Three Petals team delivered. 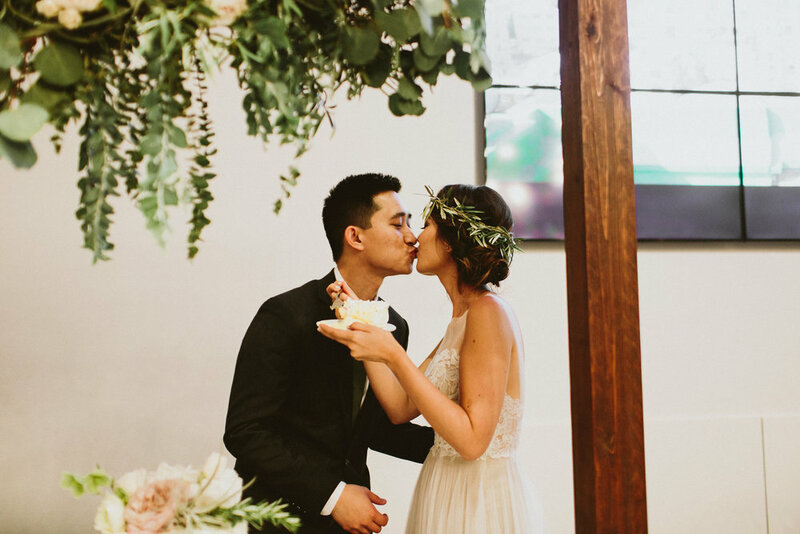 Lynette & Caleb had no idea what to expect when they walked into Venue on the day of their wedding for the sneak peak before guests arrived...We're ecstatic to say there was nothing but tears of joy! "In a world where millions go to seek fame and fortune, Chris — a comedy writer — and Erin — a designer/actress/creative genius— collided, forever changing the course of their destiny. Despite insurmountable odds (including Erin always running late + Chris always running his mouth), a girl from Kansas City met a boy from Brawley, California. At an audition for something that never came to be… Something, did in fact, come to be. After hundreds of outstanding dates, their shared love of comedy, spicy foods, competitive games + binging TV shows, Chris popped the question. Soon after, Erin’s creative side went wild and she designed everything for the wedding — from the invitation suite to the dinner menus, the drink signs + drink sticks, she even custom-made getting ready t-shirts for her gals! Their photographer, Mandee Johnson, tells us Erin + Chris searched high and low for a “blank canvas” venue with white walls and unlimited potential to create their dream wedding. They found that in Venue by Three Petals and planner One Darling Day helped make the space theirs! They loved that the space was large enough to separate ceremony, cocktail hour + reception into different sections while keeping everyone in one place." What a beautiful wedding this was! Danny and Vi did not miss any detail when planning their special day. From the fresh hand-rolled cigar station, to the decked out S'MORE BAR. For entertainment the couple brought in Poreotics, a former winner on America's Best Dance Crew (ABDC). Needless to say, the party vibes for this crowd was through the roof! We love destination weddings! 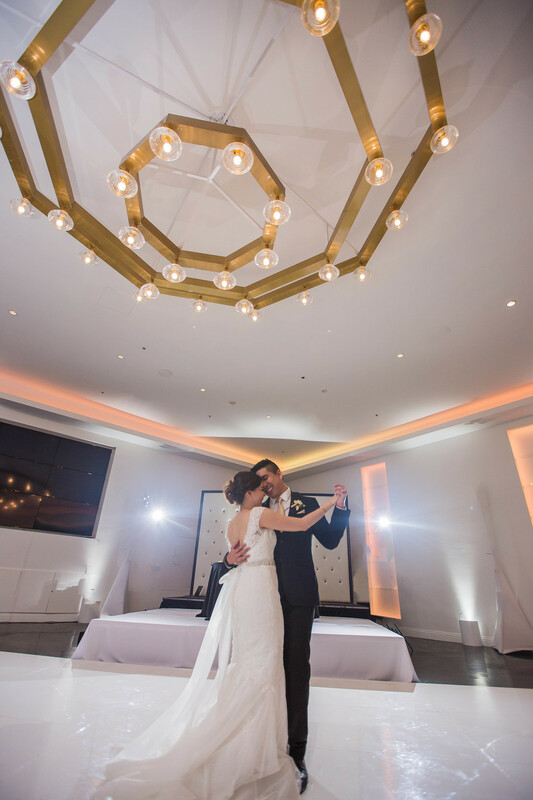 From San Francisco to Orange County, Melinda and Anand communicated with us via email to plan their wedding reception at Venue. Guests came from near and far to join this couple in celebrating the marriage, including family from the UK where Anand is from. They pulled all the stops for their special day, including flying in their favorite DJ from New York! These two are so in love! You see it in the way their gaze, their communication, and they mannerisms. Cuteness overload! When we received the photos of Victor and Tanya's Wedding, we were so impressed with how well Jerome (Photographer) was able to capture their love for one another! It was an honor to witness two souls celebrate their matrimony with their closest family and friends near by. What a fun and creative couple! 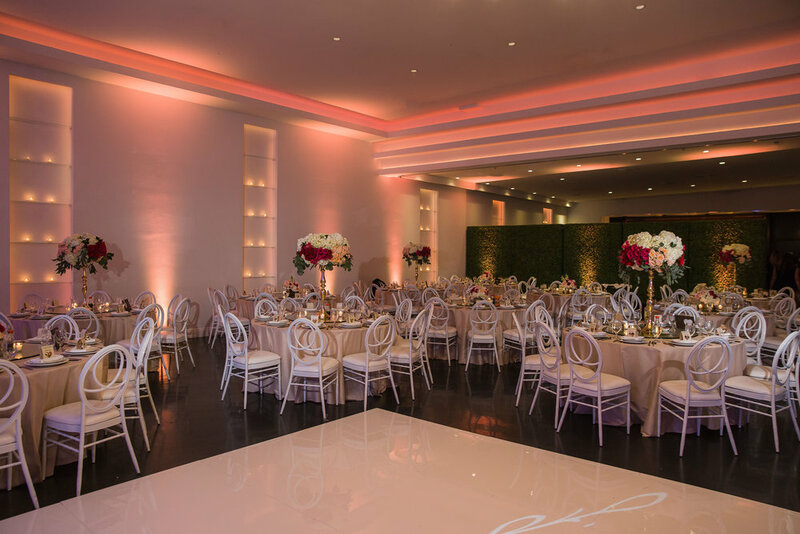 Jennifer and Jeffrey paired up with Mele Amore Events and the end production was nothing short of seamless. The amount of consideration that the couple put into every detail of their special day did not go unnoticed. From the gorgeous table layout, to the customized alcohol, ending with the appearance of McConnell's, a Santa Barbara's local Ice Cream favorite! It is so inspiring to see Venue being used as the blank canvass that it was designed to be, we encourage our clients to bring in their ideas for us to help them execute. We're so happy that Jennifer and Jeffrey trusted us with their special day! What a beautiful wedding! Kim and Jerry have been friends since their adolescent years and it is no secret that there was no detail that was too small for Kim and Jerry. They definitely pulled out all the stops for their wedding reception. 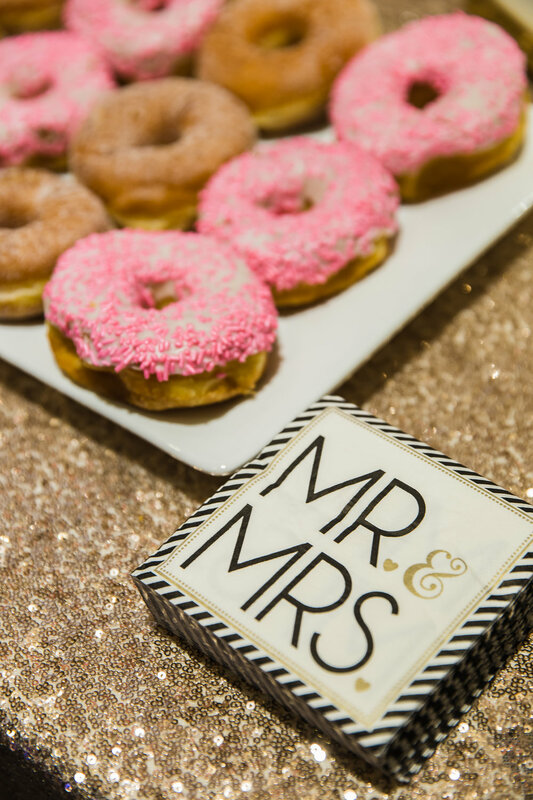 From the customized decked out dessert table where EVERY cookie is hand-painted and designed down to the made-to-order hand-rolled cigars outside in the patio for their guests. 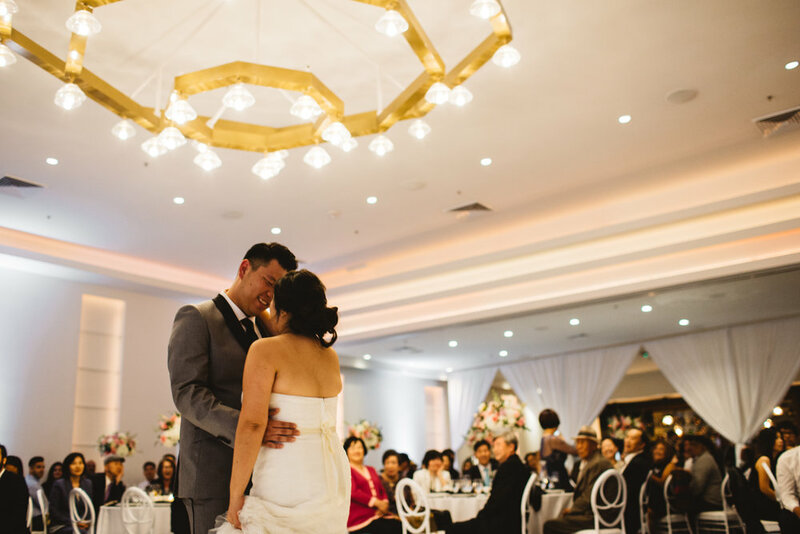 Their coordinator Anh did such an amazing job assuring that the night went by seamlessly! Definitely a wedding for the books! 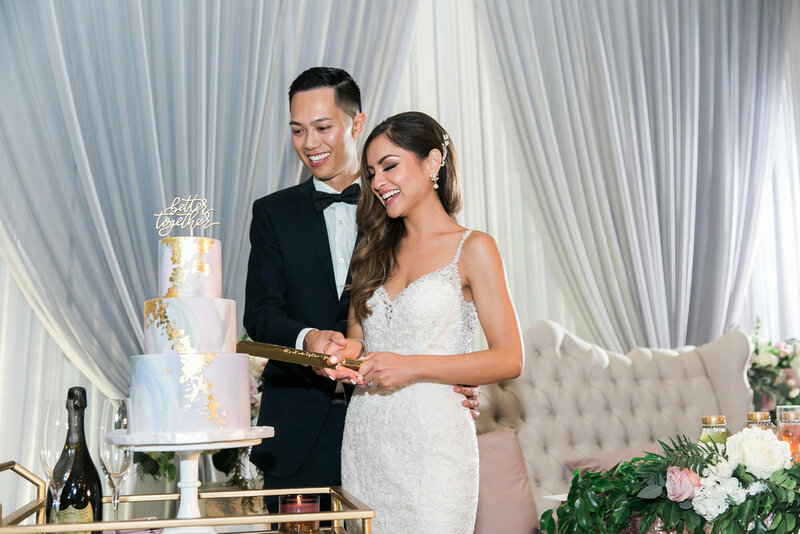 Their warm and loving personalities made it so easy to work with them, and we couldn't be happier to have hosted their special day. Congratulations again Kim + Jerry, we wish you the best as you start the next chapter of your lives together! We love multi-cultural weddings! What do you get when you mix Vietnamese and Cambodian traditions? A night filled with consuming spirits, TONS of food, and gorgeous cultural attire! It feels like just yesterday that Julia and Larry were walking down the aisle and reading their wedding vows. When you see the way that Julia and Larry look at one another it's easy to see how much they love one another. They were such a pleasure to work with and we couldn't be happier with how these photos turned out. What a turn-out! This was by far the largest ceremony that we've hosted at Venue. Kristina and Luan were such a pleasure to work with. 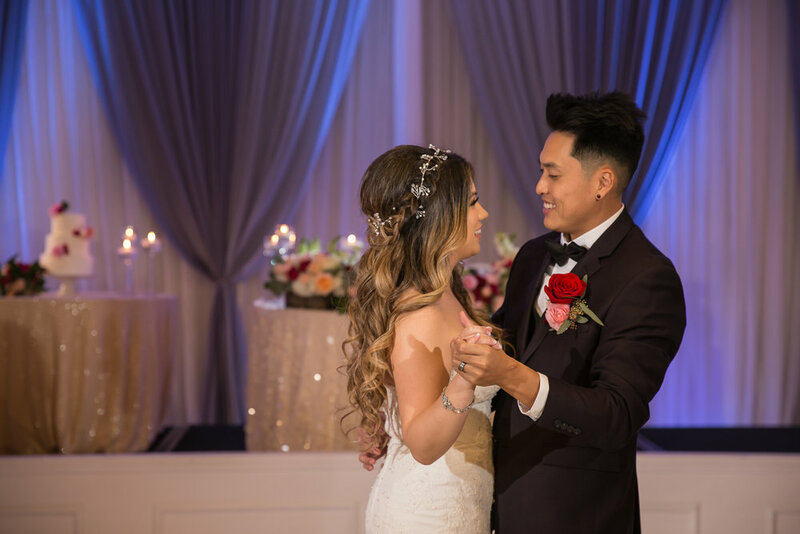 We were a little nervous about the transition from ceremony to reception since this would be the first time we transitioned the entire space from such a large ceremony to an equally large reception, but everything went smoothly and Kristina and Luan were so patient and kind! Kristina's modern rustic vision for her wedding was nothing short of gorgeous. We loved the different accents of floral throughout the space, from the ceremony arch down to the cake table! Thank you, Kristina + Luan for such a wonderful night and mellow crowd, and not to mention the surprise Pikachu visit! Another successful wedding paired with fabulous florals from our sister company, Three Petals! It's always fun when we get to work together to transform the space into a nice and elegant reception. Alex and Aldwin were cool, calm, and collected throughout the entire evening. Definitely one of the most mellow couples we've had the pleasure of working with. They were nothing but appreciative and grateful towards our staff the entire night andwe can't be more thankful. There was nothing but good vibes traveling through the room as guests helped themselves to the bar, photo booth, and not to mention an amazing family-style dinner!